“But I did find this.” He held up a sealed pink envelope that he’d skewered on the tip of one of Jessie’s kitchen forks. The wary expression on his face kindled a spark of fear in her. “I’m not sure, but it was propped up on the pillows on your bed and it’s addressed to you. I haven’t touched it.” His flinty gaze riveted her to the spot. An icy shiver skidded down her spine, leaving a path of cold, clammy apprehension. “You open it.” She rubbed her arms a little too fiercely. “Yes. Under the sink in my bathroom. There’re disposable gloves in a box.” She cocked her head in the direction, indicating he should go and find them. Her legs felt like jelly, and she feared that if she tried to go and get the gloves herself, she’d fall flat on her face. Jessie rubbed her hands, stalling for time. She reached for the gloves and braced herself as if expecting them to send an electric shock up her arms. Doing her best to remain calm, she pushed her hands into the gloves, finishing each with a snap. Her hands trembled as she plucked the envelope from the fork. The back of it peeled up effortlessly, and she imagined the person who had left it licking it with their vile tongue and sealing it with just enough of their wetness, but not so much as to stick it tight. She swallowed down her revulsion before she gagged on it. Reluctantly, she opened the envelope and eased out an innocent piece of squarely folded pink paper. Flattening it out, she wrenched her gaze away, before she accidentally read its contents. 1. Do your characters seem to hijack the story or do you feel like you have the reigns of the story? I usually have the reins of the story, however I’m intuitive enough to know when to let the story lead the way. I allow the characters enough rope to veer off, and when they do, the story is better for this slight change of course. 2. Convince us why you feel your book is a must read. 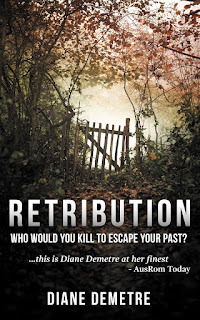 Retribution does not follow the usual romantic suspense formula. 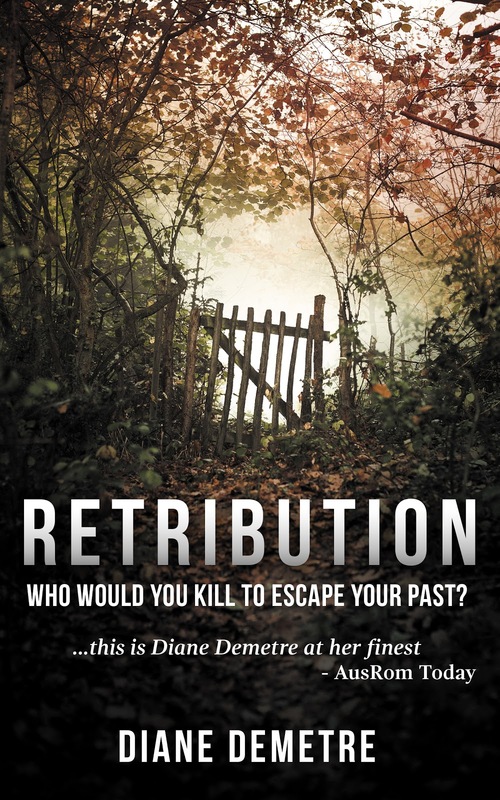 There are a few twists which take the reader to places not normally explored, and the story touches current topics which affect more people than most of us are aware of. It also gives readers, particularly international readers, a chance to be immersed in Australia, its cityscape and contrasting countryside. 3. Have you written any other books that are not published? My next book, Island of Secrets will be published on 14 October. It’s an epic love story that will make you laugh, cry and believe in the power of love. It spans forty years and is set on a privately-owned island off the coast of Maui. I’ve also written my memoir, which is agented, and hopefully will find a publication home next year. And I’ve just finished the first in my cozy murder mystery series which I expect to be published in 2019. 4. Pen or type writer or computer? I write all my stories on my pc in my home office. Thanks for hosting my book. I hope your readers enjoy it.